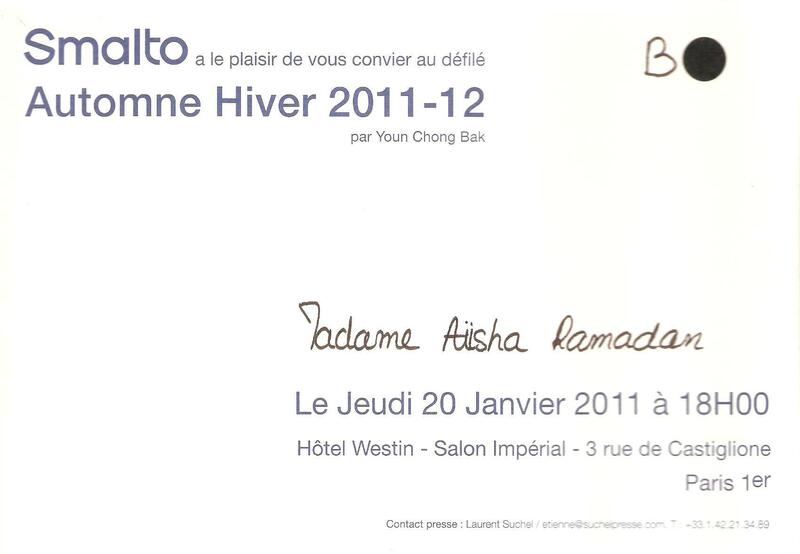 The first fashion show I visited during the Paris Fashion Week was on the 20th of January 2011 for Smalto. I went backstge, enjoyed the model’s getting done and met with the designer Youn Chong Bak. 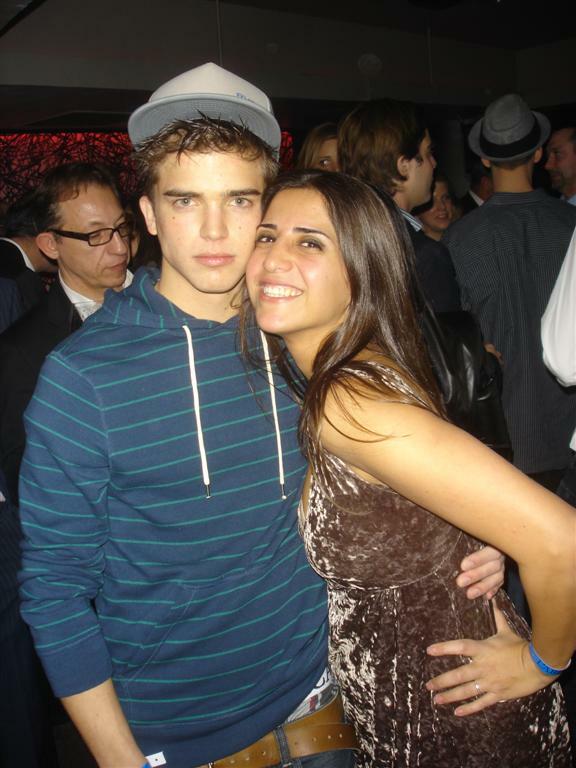 During the fashion show, I was seated first row. To tell you the truth, I made a big mistake not taking professional photos of the collection – but in my defense I was mesmerised by the greatness of this collection for men. 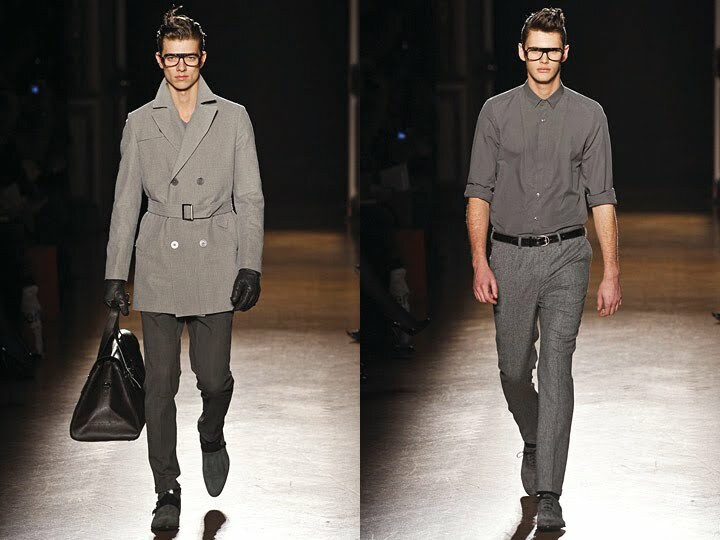 I’ve never seen such perfect fitted suits and trousers, which made every man look hotter than a cake out of the oven! 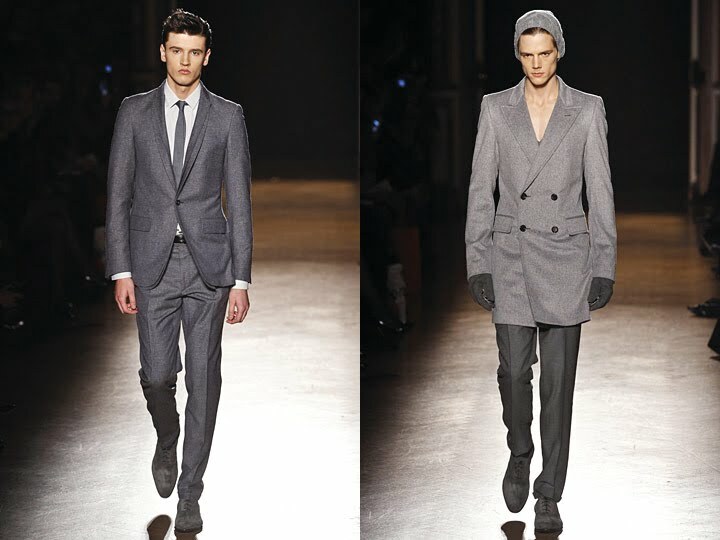 The lines and material, such as cashmere and wool, were impeccable. The details on the jacket lapels left me speechless as well as the beautiful low cut leather gloves. 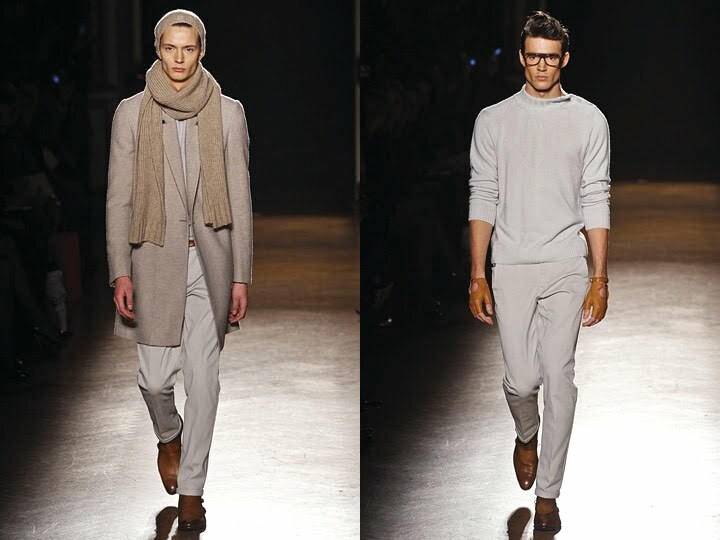 As for the colors, Youn focused on the soft degrees of grey, brown and camel. I loved the hall of the show at the Westin Hotel Paris. Even the hair and makeup room seemed to be part of a museum. This entry was posted in Aiisha, FASHION and tagged Calligraphy, Fashion Week, Homme, Look, Male Models, Nikola Jovanovic, Paris Fashion Week, River Viiperi, Runway, Smalto, Vladimir Ivanov, Westin Hotel, Youn Chong Bak by Aiisha. Bookmark the permalink.